A two-vehicle accident involving a pickup and a semi truck 3 miles west of Craig on U.S. Highway 40 on Friday afternoon left one dead and one injured. Craig — A 17-year-old Moffat County High School student was killed Friday afternoon after his pickup collided with a semi truck on U.S. Highway 40, according to police officials. Torivio Tovar died on the scene, one day after he graduated at semester from high school. Tovar was driving a 1997 Ford F250 westbound on U.S. 40 when his pickup traveled into the eastbound lane, colliding with a Peterbilt semi truck that was towing water eastward toward Craig, according to Colorado State Patrol. Tovar “crossed over the center lane into the eastbound lane,” said Sgt. Kirk Gardner, of the Colorado State Patrol. The driver’s side of Tovar’s truck was demolished. The driver of the Peterbilt was 47-year-old Jeffrey Higgs, of Craig, who sustained minor injuries and was transported to The Memorial Hospital in Craig. “Excessive speed and driver impairment are not suspected, however, the crash is still under investigation by the Colorado State Patrol Vehicular Crimes Unit,” according to the press release. Tovar was known by friends and family as Tory, and he became a father to a baby boy this fall, according to David Pressgrove, director of Bear River Young Life. If You Really Knew Me is an anti-bullying program that high schools across the United States participate in, including Moffat County High School. The program focuses helps students accept one and other. Pressgrove met Tovar this fall when he attended a Young Life club meeting. Tovar asked Pressgrove what it takes to be a good dad. The semi truck belonged to Herod Industries, and representatives from the company declined to comment on the incident. Piles of debris were scattered along on the side of the highway. The semi’s cab was separated almost completely from the trailer, and the axle broke, leaving four wheels detached from the truck. 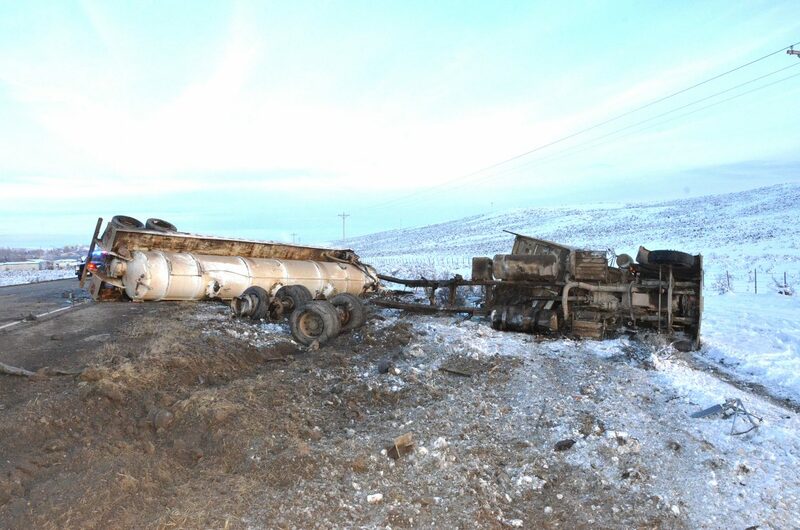 Assisting with the crash were the Colorado State Patrol Hazardous Materials Unit, the Moffat County Sheriff’s Office, Craig Police Department, Colorado Department of Transportation, Craig Fire/Rescue and the Moffat County Coroner’s Office, according to the release.